After a few months vaping with the Cloupor Mini 30W, I felt it was high time for an upgrade. I’d read a lot about Sigelei’s box mod range, heard plenty of positive comments about the brand itself, and figured I’d give its 50W setup up a whirl and find out what all the fuss was about. Turns out the fuss is ALL earned and accounted for; the packaging, look and feel and even the hinges and construction of the Sigelei 50W is tiptop. No creaks. No shaky bits. Just well-crafted, hinged metal with a couple of attractive, expertly placed metallic etchings to tie the whole thing together. But when it comes to box mods the 50W setup really is just the tip of the iceberg for Sigelei, as it does a 30W, 100W and even a 150W box mod too, as well as a 250W setup that has yet to appear in the UK. 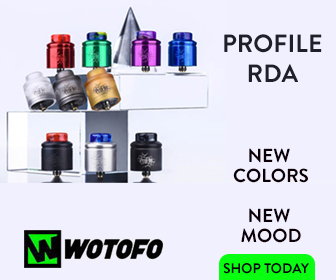 Obviously, the higher the wattage the higher the price tag but whichever you go for you will notice one thing that links them all: quality craftsmanship – little else compares in the vaping space. It’s like comparing HP and Apple. Like Vapor Shark’s DNA line, Sigelei is one of the most respected and reputable brands in the business. If you’re out looking for something a little bit special, that you won’t have to replace after six months, then it might be time to take a look at Sigelei’s ever-growing range of box-mods. And if you’re new to box-mods and BIG vaping in general, don’t stress, Sigelei has a box-mod that’ll be perfectly suited to your needs – though I’d recommend starting with either the 30W or 50W. These types of box mods won’t be for everybody though. 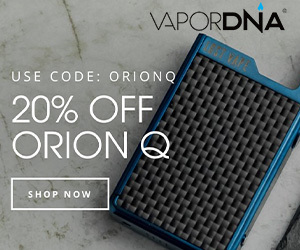 They are BIG – like Innokin MVP 3-big – and are, I guess, predominantly aimed at users that like big clouds, sub-ohm vaping and, generally speaking, really know their sh*t. Still, even if you are new to vaping, a box-mod is as good a place to start as any; you have more control over your vaping experience and awesome battery life. But as I said above… it might be best to start on one of the lower wattage models like Sigelei 50W. You don’t get much in the box, just the Sigelei 50W unit itself and a USB cable for charging purposes, though you’ll definitely want to invest in a proper battery charger like the NITECORE DigiCharger D4 – it’s just so much easier and faster, as you can always have one (or more) charging while the other is inside your box-mod. 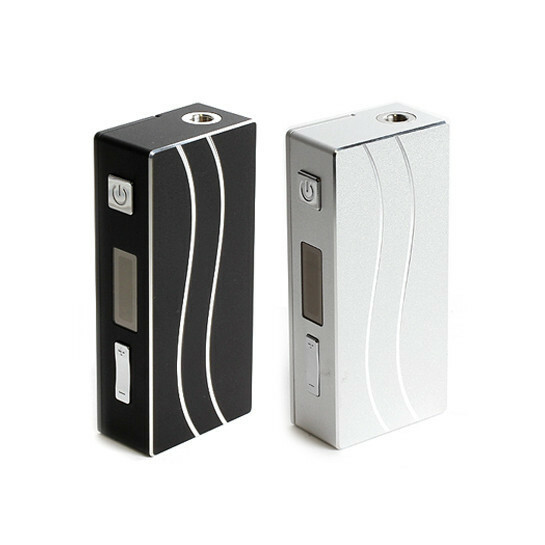 The Sigelei 50W is available in two colours: black and white – well, silvery white. And, as I mentioned earlier, it is something of a beast compared to smaller, more pocket-friendly setups like the Cloupor Mini. Exact measurements are 96 x 45 x 24mm and it weighs in at 270g, making it a very noticeable addition to your pocket – even more so if you have a large, phablet-sized smartphone in the other one. Basically, what I’m saying is this: if you’re not a fan of BIG things, then avoid this setup at all costs because it is massive and you can pick up smaller units with similar power for less money. For me, size isn’t an issue. I like to know it’s in my pocket and I do enjoy the feel of a larger box-mod – but that’s just my 2 cents on the subject. The look, finish and overall attention to detail is excellent, however, and you’ll find nothing even remotely resembling a creek or squeak when using the Sigelei 50W. Hell, Sigelei even include a rubberised case for the box mod inside the kit, though I seldom use this as it makes taking the damn thing out of my pocket an ordeal. There’s only two hardware buttons on the unit itself: on/off and power and the power rocker for wattage setting. In the middle of these you have a decent, but fairly run of the mill display which shows battery life and power/resistance settings. It might not be fancy but it does the trick and works in such a simple manner that anyone could pick up the Sigelei 50W turn it on, pick a setting, and start vaping. The Sigelei has a flush mounted/recessed 510 connector, meaning 99.9% of tanks will work on this thing. However, because this is a more professional setup, you’ll definitely want a tank – say, the Aspire Atlantis 2, for instance – that can handle higher power settings. This usually goes without saying, but if you’re new to vaping this might not have occurred to you, so think of this sentence as a heads-up. The back of the device – that’s the side without silver etchings in it – is where your 18650 battery lives. To access the compartment, simply slide the cover to the side – it moves on a smooth and perfectly designed hinge. Sigelei even include a spare screw inside the box should the screw in the hinge break, as well as one of the those cool, dinky screwdrivers. Getting the 18650 batteries in and out is simple and once they’re in there – and fully juiced – you’re looking a solid day’s worth of vaping. Dial down the power somewhat and you could probably eek a couple of days out of these bad boys. Great. Performance is brilliant. I’ve been using this setup for a month-solid now and have ZERO complaints, whereas with my Cloupor Mini I was often besieged by weird shut-downs and the occasional NDE where it simply just wouldn’t turn on for a couple of days. I guess, in this respect, the old saying – you buy cheap, you buy twice – pretty much sums up the difference between these two box mods. One, the Cloupor Mini, is decent and does most things well. Buy the other, the Sigelei 50W, does all of these things and more and best of all it does them with style and, importantly, reliability. The Sigelei doesn’t have a ton of features, unlike, say, a Vaporshark, but what it does have in this regard are all very useful. Take the Lock/Unlock mode for instance, which is activated/de-activated by pressing down on both ends of the power rocker, and ensures the device won’t go off in your pocket. To power off the device, simply click the fire button five times. Ditto for switching it on. As the name suggests, the Sigelei 50W has the power to go all the way to 50W, a frankly huge setting for the new and inexperienced. Thankfully, moving up or down the power settings is no more difficult than turning the volume up or down on your iPhone. Sigelei, once you come into the world of vaping, is a name your hear mentioned time and time again. Like Apple or Google, Sigelei is synonymous with high-end, high performance box mods. You see them in the hands of reviewers, experts and vape shop owners alike. And there is a reason for this – Sigelei makes bloody good box-mods. So, if you’re in the market for a slightly more premium setup, but you’re not quite ready for a 100W+ monster, then the Sigelei 50W is the perfect jumping stone for you. It works great, looks great and has, out of all the box mods I’ve used, which is quite a few now, some o the best reliability performance around. This thing works like a charm and, providing you take good care of it, should last you a good long while.